Writers in the Grove is pleased to host the WINTERSONG 2019 public reading event at the Forest Grove United Methodist Church on Saturday, February 2, 2019, from 10:30 AM to about noon. This event is open to all ages. It is free to enter and to attend. 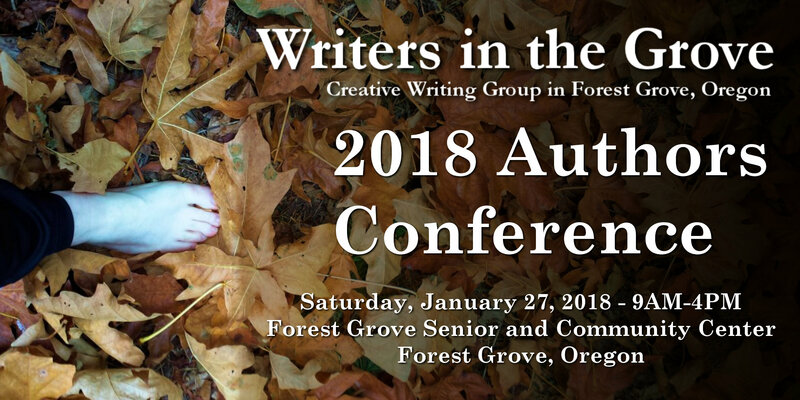 Writers in the Grove, a Forest Grove community creative writing group, presents a 4-week workshop for writers called “Scrivener Basics Workshop.” It runs for 4 week and begins on Thursday, September 21, 2017, from 6:30 – 9:00 PM at the Forest Grove Community and Senior Center in Forest Grove, Oregon. Dream of writing your memoirs? A novel? That story that’s been nagging you for years? Scrivener is a “complete writing studio” to help you from idea to final draft. It holds all your ideas, research, and writing in one place, keeping you focused and on track to publishing. It is the affordable writer’s tool that inspires and helps you write that book. This 4-week workshop covers the basics of Scrivener including imports, organization and layout of your writing, keeping on task, research, and the basics you need to know. Scrivener offers a free trial version. You will need to download and install the program prior to the first night of class. Prior publishing experience not required. Familiarity with computers is essential. Normally these courses are well over $200. As a fundraiser for the Forest Grove Community and Senior Center, the instructor is making this 4-week course available for only $100 with the proceeds benefiting the center. Lorelle VanFossen of Lorelle on WordPress has been using and teaching workshops and classes on Scrivener for over seven years. Her workshops are educational as well as entertaining. Lorelle has published several books prior to using Scrivener, and many since discovering the writing software program, and it changed her life and her writing. Lorelle has been teaching web publishing, social media, WordPress, and blogging for almost thirty years. Lorelle has also published many tutorials on Scrivener on this site for members and fans of Writers in the Grove and NaNoWriMo. Bring a copy of a story or collection of stories you’ve written in a word processing program like Microsoft Word on your computer or a flash drive. We will be learning how to import into Scrivener.